A photographic collection of any venue in Australia that was used on regular basis for the exhibition of motion pictures – AUSTRALIA only. These buildings both past and present have played a major role in the cultural and social structure of the masses. Many have long ago been demolished, converted to other use, but their place in our history is worth remembering – whether Picture-Palace, Flea-Pit, Open-Air or Drive-In Theatre, they are all important. . The National Film and Sound Archive is Australia’s ‘living’ archive – the custodian of over 2.3 million items that we not only collect, but preserve for future generations and share in many diverse ways. The Society organises events to facilitate inspections for documenting and photographing of cinema venues and conduct regular meetings for members. 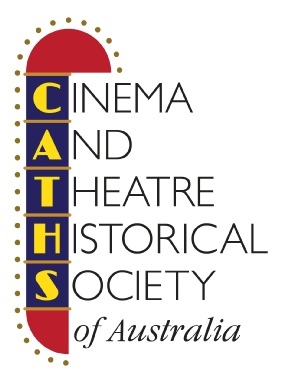 Australian Museum Of Motion Picture & Television Inc.
AMOHG is an independent, voluntary association of professional media practitioners, oral historians, academics, archivists, journalists, critics, reviewers and others. The Group aims to encourage and conduct oral histories of practitioners in audiovisual media and those with a significant memory or knowledge of the social histories, operations, cultures and sub-cultures of audiovisual media production and reception.